Available in 4", 5", 5.5", 6", and 8"
If you chose a Duraflex SS system, you know their commitment to safe and efficient venting, all while protecting your masonry chimney from flue product condensation. This Mortar Sleeve is a valuable part of that system. 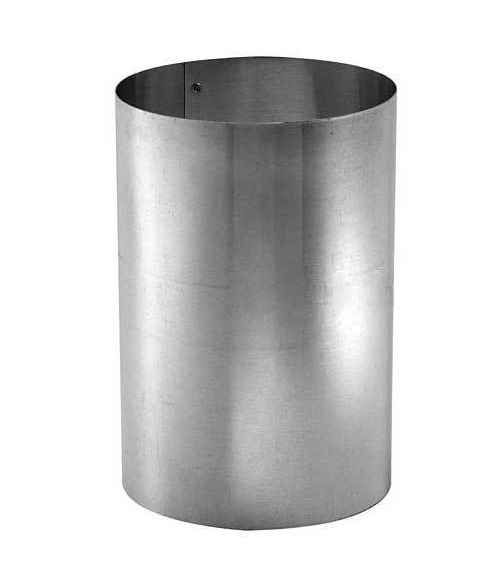 This Ultra-Pro 6" Mortar Sleeve is OMNI Listed to UL 1777 and ULC S635 (43-P-02-2), and is designed for Duraflex Ultra-Pro 8" chimney liner pipe. Use with the DuraVent DuraFlex Zero Clearance Insulation Sleeve to meet the UL1777 standard for masonry chimneys and wood burning appliances.